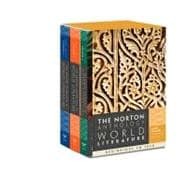 Read by millions of students since its first publication, The Norton Anthology of World Literature remains the most-trusted anthology of world literature available. Guided by the advice of more than 500 teachers of world literature and a panel of regional specialists, the editors of the Third Edition'¬ ;a completely new team of scholar-teachers'¬ ;have made this respected text brand-new in all the best ways. Dozens of new selections and translations, all-new introductions and headnotes, hundreds of new illustrations, redesigned maps and timelines, and a wealth of media resources all add up to the most exciting, accessible, and teachable version of '¬Sthe Norton'¬ ever published.